On May 19th my niece got married on her parent’s farm in the beautiful Virginia country side. I had the pleasure of being the event planner/florist for the event. The colors were purple and yellow and the setting was stunning! 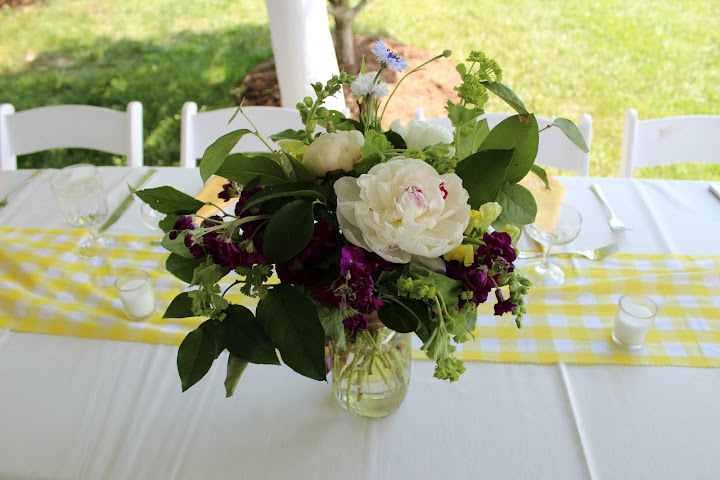 I used mason jars and jelly jars for all the flower arrangements. 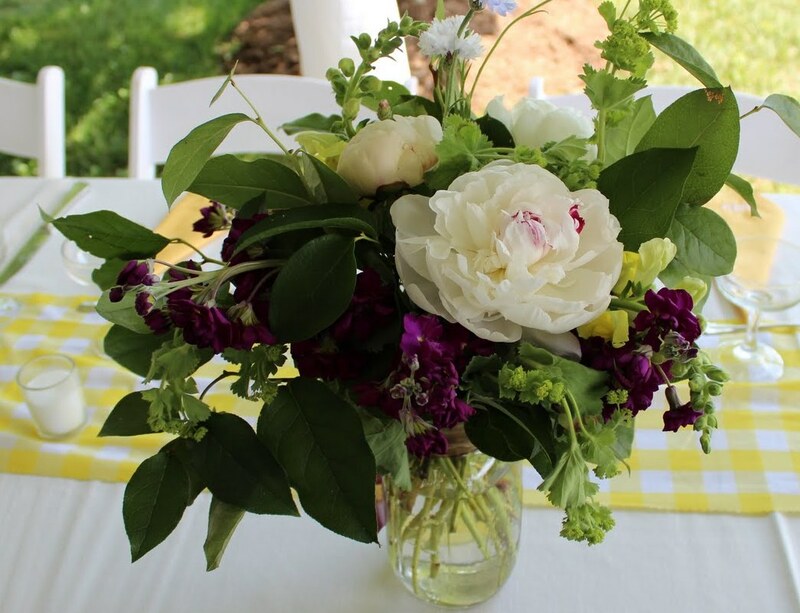 The flowers were all locally grown they included; Peonies, Queen Ann’s Lace, Stock, Bachelor buttons, Viburnum, Sweet Peas, Tulips, Roses, Baptisia & Zebra and Green Grasses. The flowers came from a local farm www.wollamgardens.com, the flowers were freshly cut for the wedding. 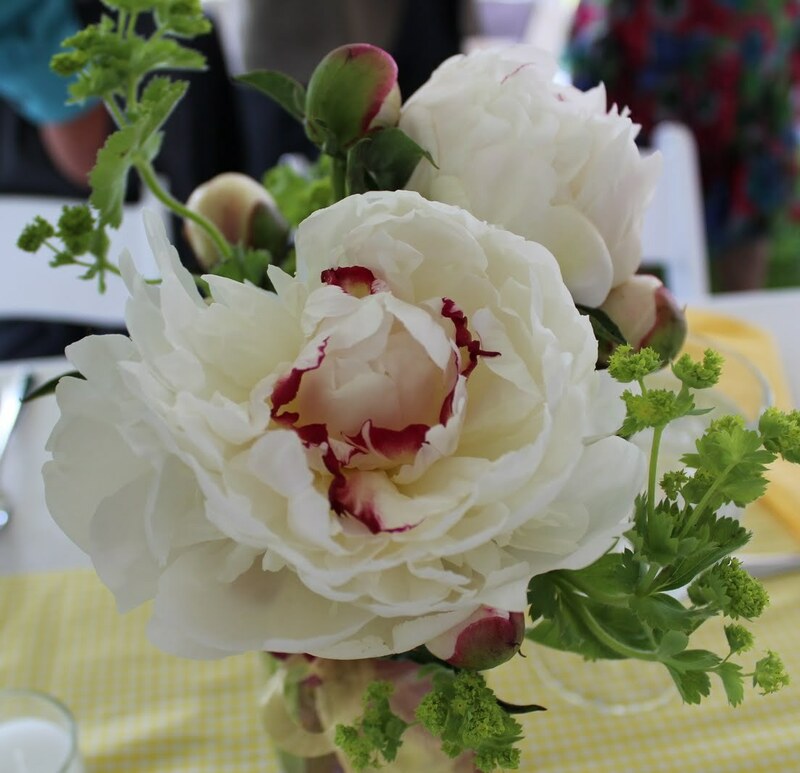 It was a pleasure working with these fabulous flowers, they were so fragrant! 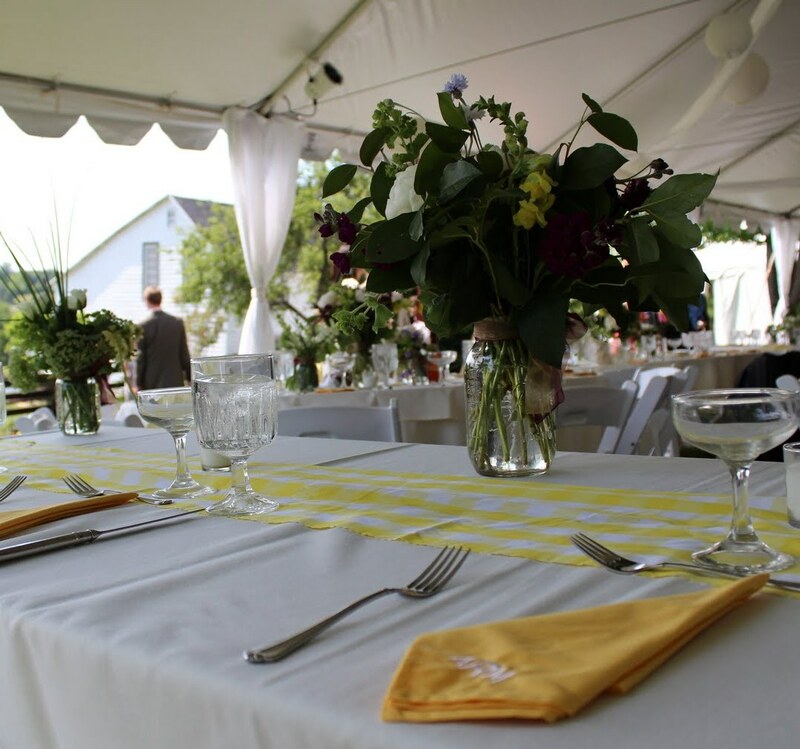 We topped white table clothes with a fun yellow and white checked table runner. I used yellow and purple ribbon from www.mayarts.com on each flower arrangement. 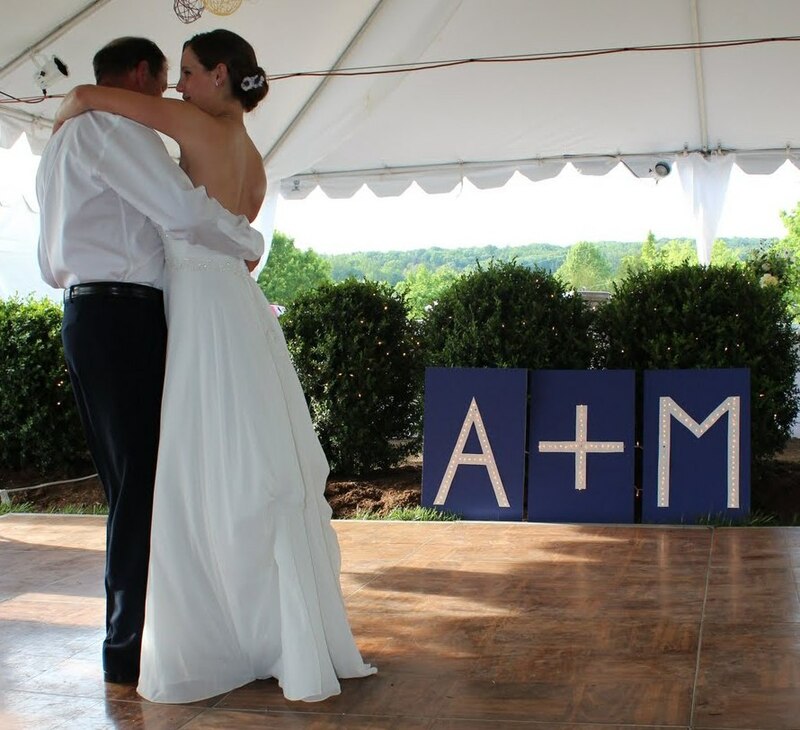 My wedding gift to the bride and groom was the monogrammed napkins that were used at the wedding. I am sure those n apkins will be used for every one of their family function for years to come! Look at the beautiful bride and her father dancing, and look at the letters on the floor they have lights in them at night they were magical. If you like this post and want to see more of what we are doing click the follow button and never miss a post! Thank you for reading our blog, and keep your questions & comments coming. I love hearing from you. Thank you Celia for making Ally’s wedding day such a special one. 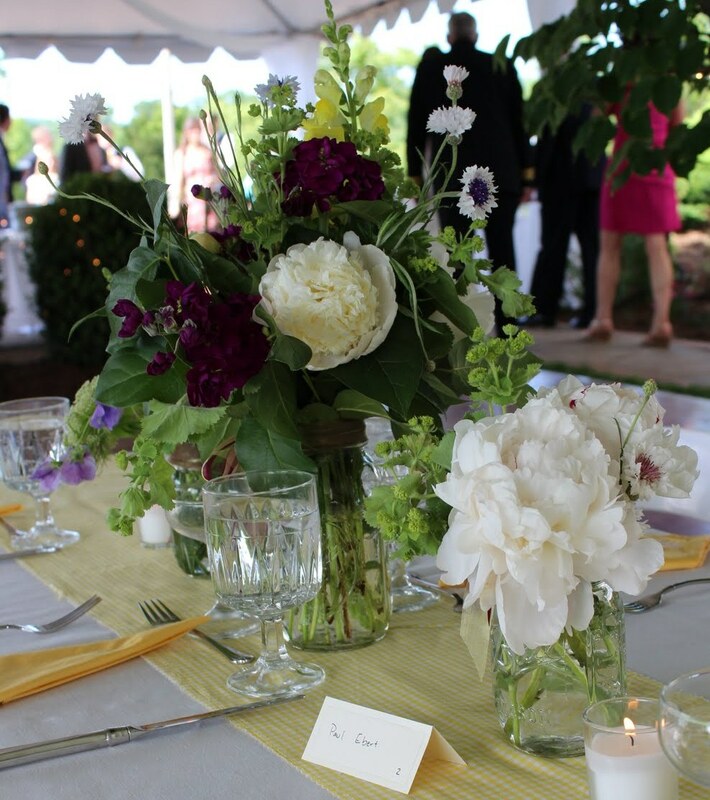 Your creativity and expert flower arranging captured the vision of the quinessential, elegant, country wedding we all imagined. You were able to bring this vision to life. I have received so many compliments on how beautiful everything was and I owe it to you for creating such a magical space for us to celebrate my daughter’s wedding.